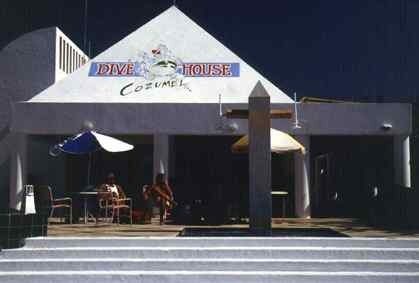 DIVE HOUSE COZUMEL - Owned and operated by expert dive instructor Juan Leca, Dive House is Cozumel's finest dive and water sports provider. 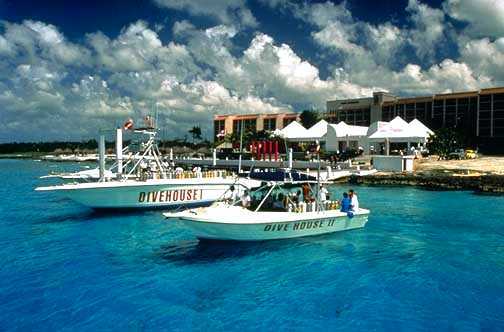 FIESTA AMERICANA COZUMEL DIVE RESORT - Cozumel's most attractive, comfortable and convenient ocean front accommodation. ISLAND DREAMS TRAVEL - A trusted, professional dive travel seller providing you with years of experience, and wholesale airfares to Cozumel. Together, the Cozumel Quality Combination stands ready to provide you with the safest, most enjoyable, and comprehensive scuba diving experience, and the best travel value that Cozumel has to offer. New Diver - Improve your skills, safety, and diving enjoyment while in the company of highly experienced divemasters and/or instructors catering to your personal requirements. 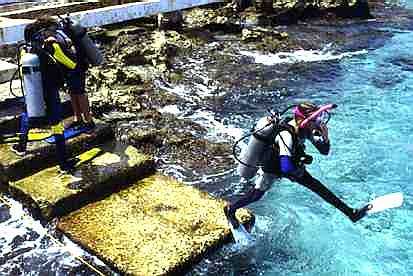 You will come away from the EDP Program a more comfortable, confident, and capable scuba diver. Intermediate Diver - Move up to more independence, new dive sites, longer dive duration's, and a boat with dive buddies of similar experience level and abilities. Your divemaster will show you the way to greater flexibility and freedom in your diving, while continuing to advance your skills. Advanced Diver - Expand your underwater horizons as you enjoy Cozumel's most exotic and challenging diving. Within the no-deco limits, make the most of your skills and your dive computer. Dive your plan and maximize your bottom time in the company of an equally experienced group. 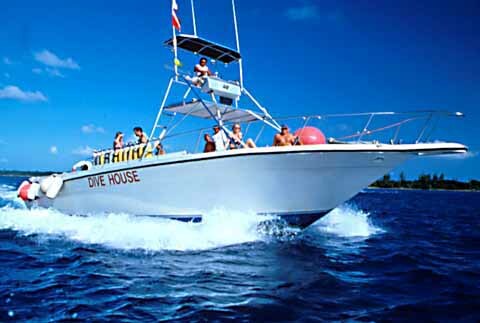 Small Groups on Large Boats - All of Dive House's boats are spacious and fast, with small group size and custom service. Average is eight divers per dive boat. Maximum is twelve divers per boat, with two dive guides. Larger groups may be accommodated, at the group's request. Captains and divemasters are all well-trained professionals, with oxygen, radios, and emergency equipment at the ready. Need some more reasons to jump into the fun? FREE shore tanks on all boat diving days, plus all of the EDP services and amenities. FREE round-trip airport/hotel transfers for stays of four nights or more. Optional boat night diving available at $45 per dive. Optional private open water dive instruction, check outs, advanced certifications, etc.